I started putting together this post back when the first aircraft had moved out of the American Air Museum (AAM) back in May, but with so many airshows taking place since, I hadn’t got around to posting it. 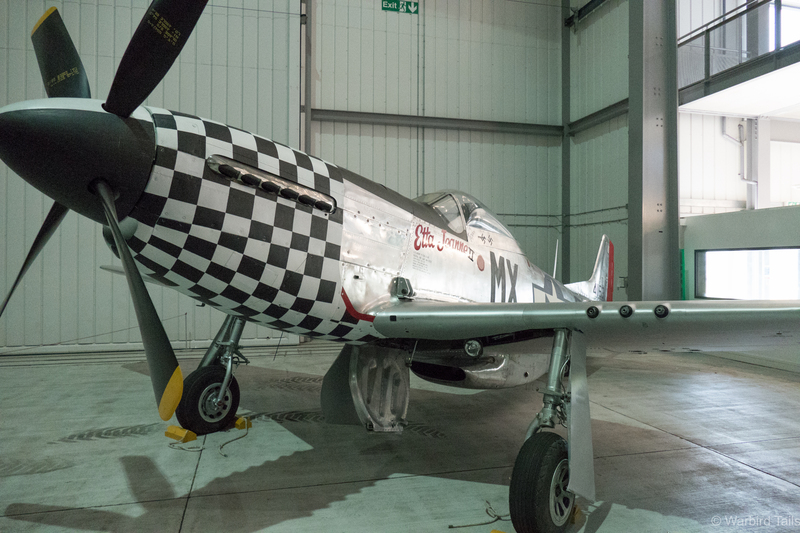 Newly restored P-51D Etta Jeane II was the first airframe to take up residence in the front of Airspace earlier this year. 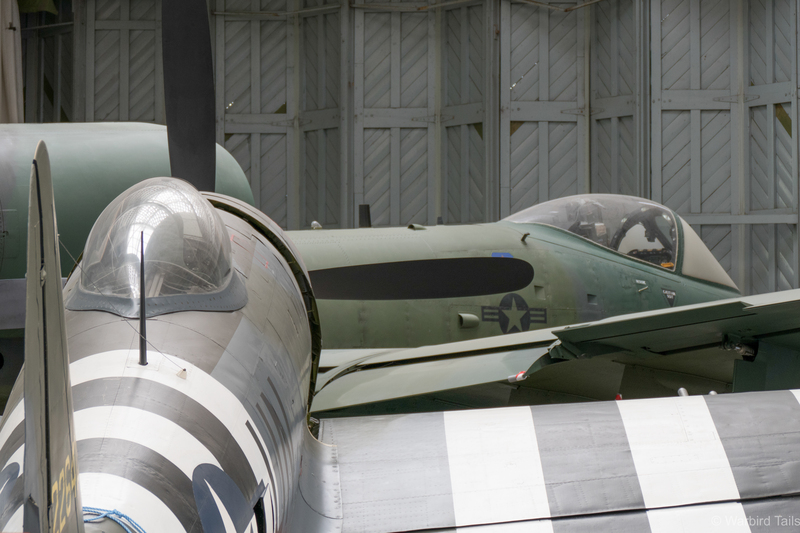 The American Air Museum is receiving a makeover and restructure, which means quite a drastic change to the allocation of some of the exhibits. In short it means that we are finally seeing a number of the rarer exhibits on display at Duxford outside and in different spaces. This is a welcome change, as impressive as the AAM is, and as good a job as it does keeping things undercover it doesn’t make for the clearest viewing of some of the types. 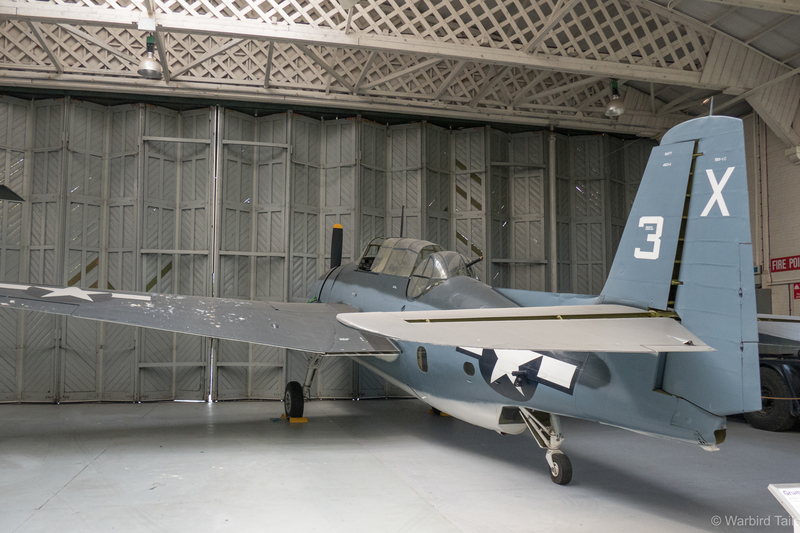 With space at a premium, some aircraft, including the Avenger are taking refuge in Hangar 3. The front of then Airspace hangar has taken on a definite American feel over the past few weeks, with the SR71, B-24, B17, C-47, T-6 and Huey on display, these aircraft have been added in instalments, meaning that there has been opportunities to see these aircraft standing very much in their own space, an opportunity which certainly hasn’t been available in most cases for a number of years. The impressive view from the Airspace balcony. I didn’t manage to get up to Duxford to see the bulk of these moves, in fact airspace was already starting to look quite busy at the time of my visit. Though I did manage to catch the one aircraft I wanted to see outside, the wonderful B-29. The B-29 out on the jet pan at Duxford. 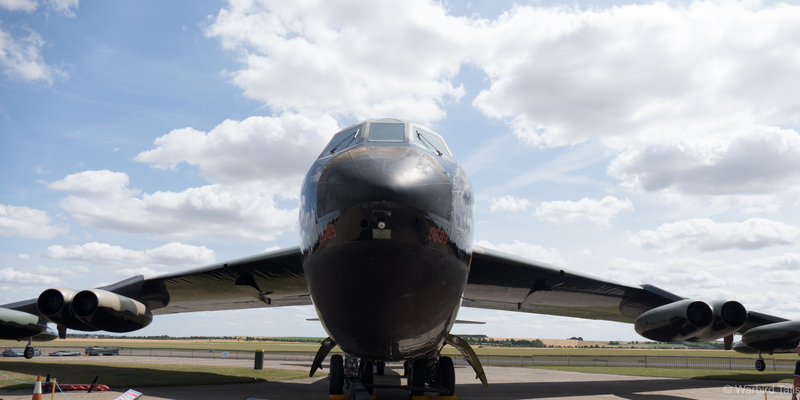 The aircraft was first out on the jet pan for a few days in May, to see such a rare and historically significant bomber airside at Duxford is a remarkable experience. Sally B taxies past B-29 “Hawg Wild”. Though not part of the AAM, Sally B very much represents the same principals and unlike other aircraft in the collection, is able to travel the country while telling that story. It was a great treat to witness the B-17’s first flight of 2015 on the 10th May, not to mention watching her carry out power checks just in front of a B-29, a shame the illusion was spoiled by the large collection of GA types surrounding the Superfortress. 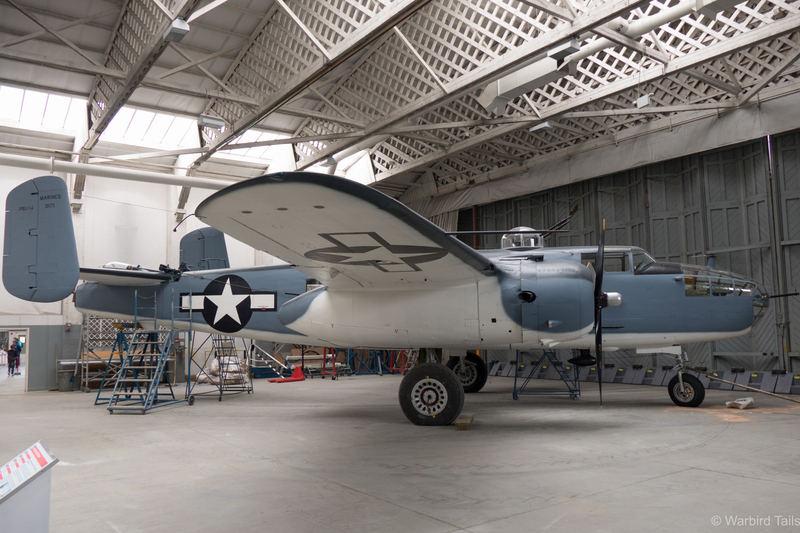 The B-25, which had been wearing these US Navy colours is currently being re-painted into an undisclosed scheme. 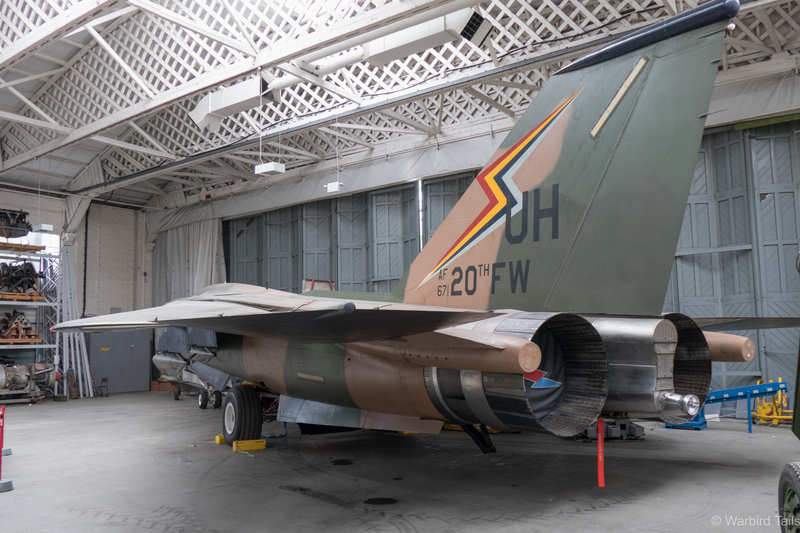 ….While the F-111 has taken up residence in Hangar 5 North. 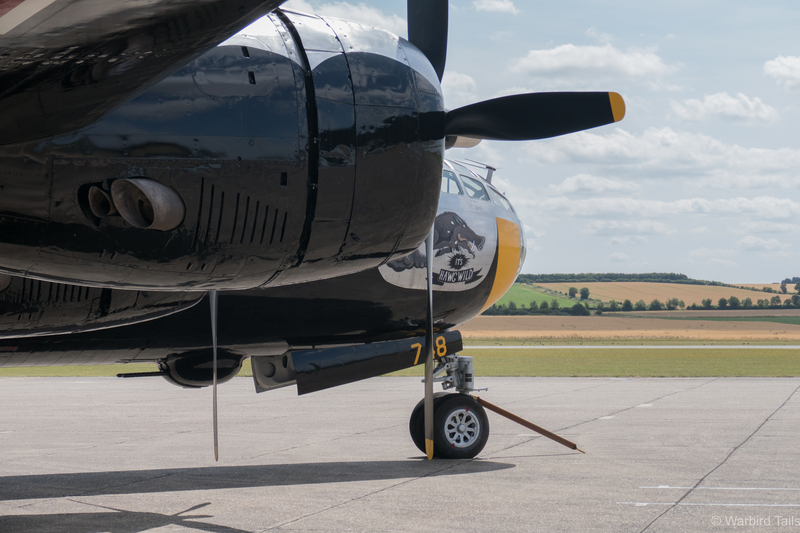 Since that visit in May Duxford has come alive again as an airshow venue, as such a number of the AAM aircraft have all been locked away again, though the B-29 was left semi exposed. 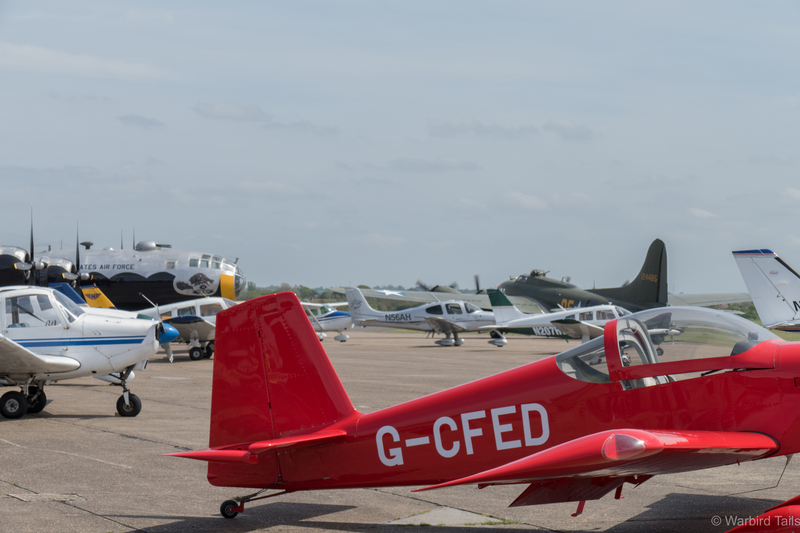 This made for a great backdrop for the VE day and Flying Legends airshows. Seeing the B-52 outside is a great opportunity. 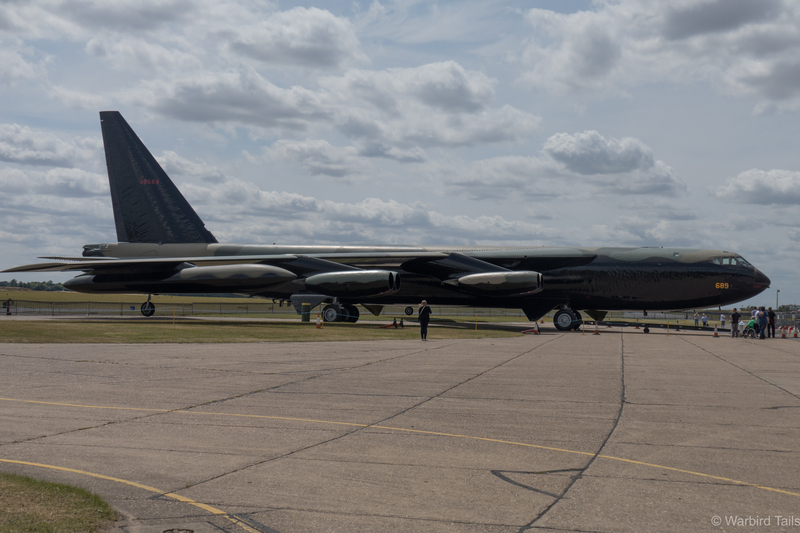 Following Flying Legends the B-29 and B-52 have been moved out again, which co-incided with another Duxford visit last week, this meant I got two opportunities missed last time: Seeing the B-29 in its own space and seeing the B-52 outside of the hangar. We all know the B-52 is a huge machine, but the scale just isn’t fully appreciated until these machines are outside in their element. You have to stand a long way back just to take it all in! 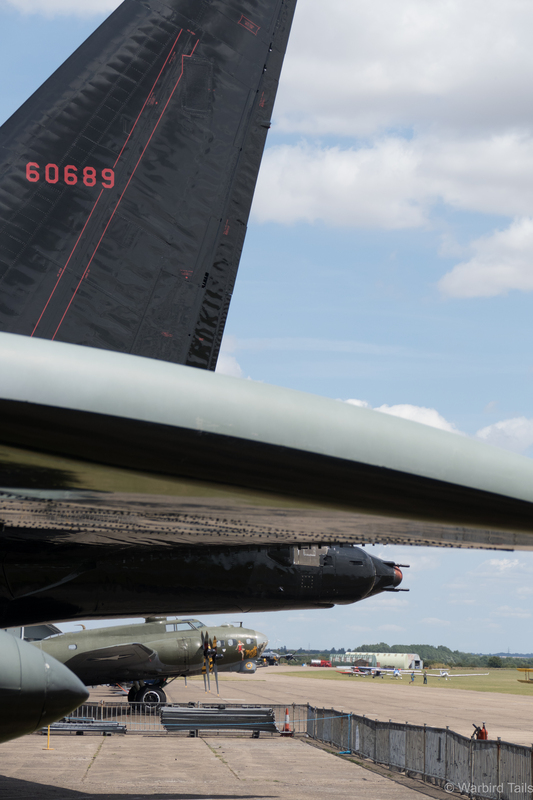 The positioning of the B-52 meant that if you stood by the tail you could take in Sally B and the B-29 as well, three generations of Boeings all designed to do the same job, not many places in the world you can see that! Though, by all accounts the recent Oshkosh show is another! Three generations of Boeing heavy bombers in one shot. What has surprised me, and reinforced feelings that this move is a great thing, is how many types I had forgotten were squeezed in! The F-111 for example often gets neglected, at least by me, but it s a hugely impressive exhibit, not to mention the A10 and F4. 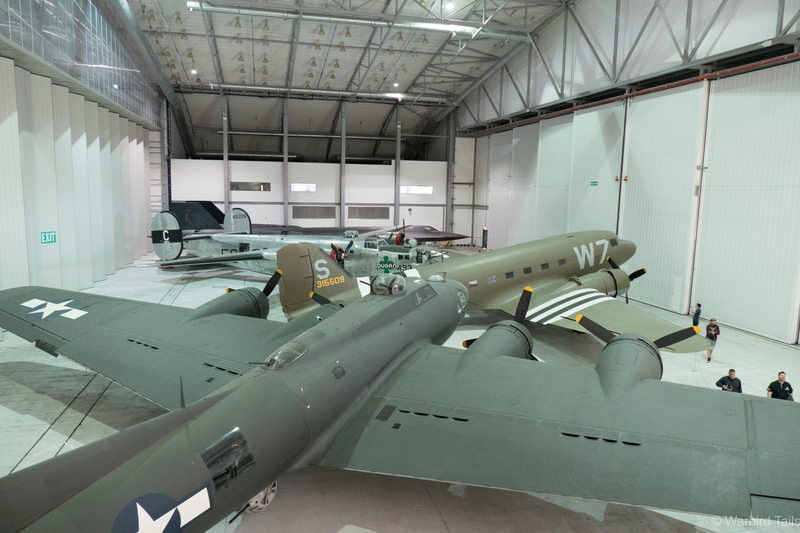 A schedule for moving the airframes back into the American hangar has been released recently and can be found here. Hopefully I will be able to get up to Duxford and document some of the moves at the time. I look forward to seeing the American Air Museum complete again once it re-opens next year.